*Also available anywhere books are sold. S is for Samson, whose hair held his strength, provided it grew to a certain length. So it’s good to be clean-cut and handsome, but not to be clean-cut and Samson. The cavemen need help! 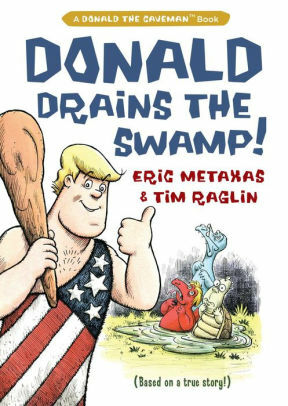 Their king has forgotten all about them — all because of the horrible Swamp Creatures that live in a suspicious green swamp. From #1 New York Times bestselling author Eric Metaxas comes an inspiring biography of the most influential man in modern history, Martin Luther. From the #1 New York Times bestselling author Eric Metaxas comes “If You Can Keep It,” a new book that is part history and part manifesto, steeped in a critical analysis of our founding fathers’ original intentions for America. Two hundred and forty years after the Declaration of Independence, it examines how we as a nation are living up to our founders’ lofty vision for liberty and justice. In his eagerly anticipated follow-up to the enormously successful Seven Men, New York Times #1 best-selling author Eric Metaxas gives us seven captivating portraits of some of history’s greatest women, each of whom changed the course of history by following God’s call upon their lives – as women. What are miracles, and why do so many people believe in them? What do they tell us about ourselves? And what do we do with experiences that we cannot explain? What is a man and what make a man great? Metaxas offers seven exquisitely crafted portraits of widely known–but not well understood–great men from history. You’ll be inspired by the lives these seven men lived, often in the face of overwhelming adversity, and always at heroic sacrifice to themselves for the sake of others. As Adolf Hitler and the Nazis seduced a nation, bullied a continent, and attempted to exterminate the Jews of Europe, a small number of dissidents and saboteurs worked to dismantle the Third Reich from the inside. One of these was Dietrich Bonhoeffer—a pastor and author, known as much for such spiritual classics as The Cost of Discipleship and Life Together, as for his 1945 execution in a concentration camp for his part in the plot to assassinate Adolf Hitler. We all have questions about Jesus, but very few of us get the answers we’re looking for — if the answers even exist! Do they? Where (in heaven’s name) do you go to find out? New York Times #1 bestselling author Eric Metaxas understands how hard it can be to get hard truths, and that’s why he has written this hilarious, entertaining guide to the most influential single Person to have ever lived on the face of the earth. 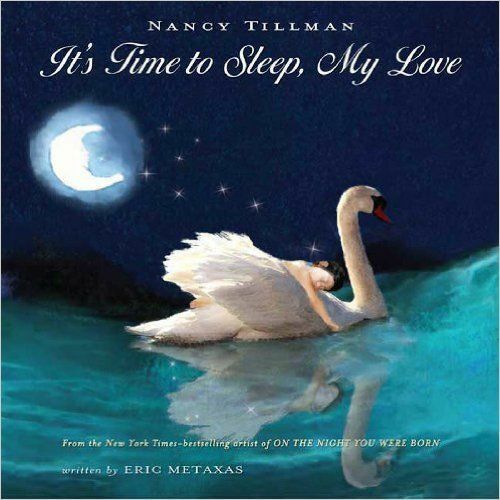 Mega-best-selling author/illustrator Nancy Tillman (On the Night You Were Born) has teamed up with Eric Metaxas to produce It’s Time to Sleep, My Love, a gorgeously illustrated lullaby picture book destined to become the bedtime children’s classic of a new generation. “Amazing Grace” tells the story of the remarkable life of the British abolitionist William Wilberforce (1759-1833). This accessible biography chronicles Wilberforce’s extraordinary role as a human rights activist, cultural reformer, and member of Parliament. At the center of this heroic life was a passionate twenty-year fight to abolish the British slave trade, a battle Wilberforce won in 1807, as well as efforts to abolish slavery itself in the British colonies, a victory achieved just three days before his death in 1833. 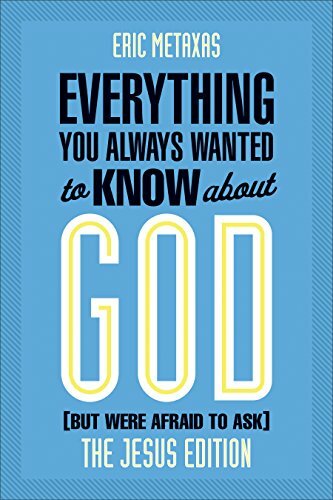 The long-awaited sequel to Everything You Always Wanted to Know About God (but were afraid to ask), Everything ELSE carries on the conversation to explore more questions that are commonly asked about the nature and existence of God. This entertaining and historical story shows that the actual hero of the Thanksgiving was neither white nor Indian, but God. In 1608, English traders came to Massachusetts and captured a 12-year old Indian, Squanto, and sold him into slavery. He was raised by Christians and taught faith in God. Ten years later he was sent home to America. Upon arrival, he learned an epidemic had wiped out his entire village. But God had plans for Squanto. God delivered a Thanksgiving miracle: an English-speaking Indian living in the exact place where the Pilgrims land in a strange new world. Backward-flowing waterflows! Invisible monuments! Ferocious meat-eating deer! A chicken egg in the shape of the Taj Mahal! Eric Metaxas has combed the far corners of the known and the unknown world to assemble this book chock full of startling, uncanny, and often seriously frightening phenomena. Marc Dennis has converted them into mind-bending, eye-popping drawings. Are they possible? Don’t You Believe It!